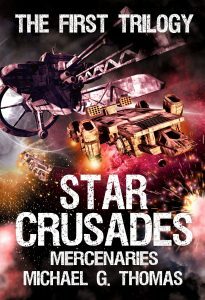 Battle for Karnak (Star Crusades Mercenaries book 4) is out! Spartan and Khan are back doing what they do best, gratuitous violence on an epic scale! 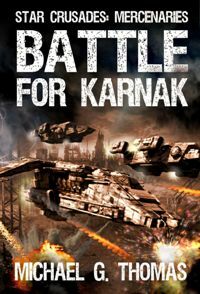 Karnak is a battleground, a planet torn apart by a dozen warring factions. Spartan and his small band of mercenaries and militia have won battle after battle. Now they must prepare for their final test, an assault on the heavily defended enemy capital, Montu. 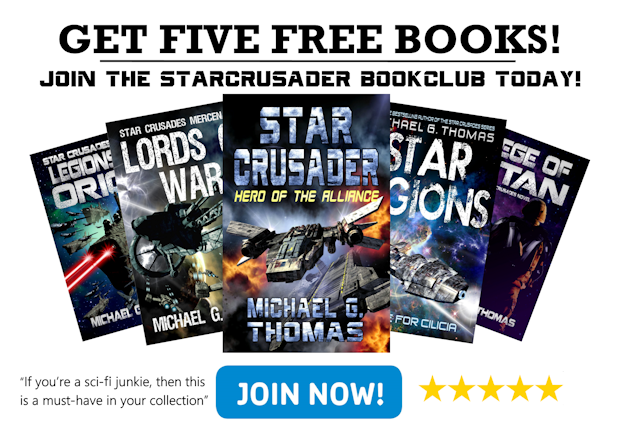 The plan is torn apart when a huge fleet of reinforcements appears. A fleet that threatens to overwhelm the valiant rebels.